Want something sporty to drive around Englewood? Consider the new Jaguar F-TYPE, available now at Jaguar Englewood. Take your pick between a coupe and a convertible, select your ideal performance level, and revel in all that the interior has to offer. 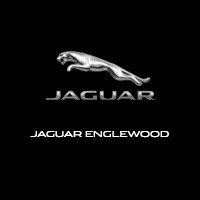 Get in touch with Jaguar Englewood to take advantage of the Jaguar F-TYPE lease deals available or to find out how to finance one of your own! Ready to learn more about the Jaguar F-TYPE? See how it stacks up to competing models, like the Porsche Boxster.